A cobblestone paver is an ideal way to add decoration to a pathway or open space that needs to be paved. There are a range of designs that can be considered when going this route, due to the different types of cobblestone available. Implementing some tips during the fitting procedure will help you to decide on the best design for you. Now I would like to list several tips for design cobblestone paver step by step, and I wish you can benefit much from them. Cobblestone paver slabs are available in a range of different sizes so this will need to be taken into account when creating your design. 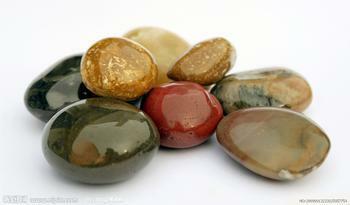 You can create a design that makes use of only large natural stones, only small stones or a mixture of the two. Think about the end result when deciding on which one to choose, whether you want stones that offer a larger or smaller surface area. This will also determine the number of stones that you will require to complete the project; less paving stones will be required when large ones are used. Be aware that the use of smaller cobblestone slabs will result in a greater number of gaps, which may result in a larger amount of maintenance. If you are unsure about the design that you want to install and whether the stones will fit together as you desire, try dry fitting them first. This will involve laying the stones over the surface where they will be installed, putting them into the correct position. Depending on the surface that is being paved, you will be able to ensure that are returned to the right place with the help of chalk or spray paint.